Learn how, in 10 easy steps, to mix massive, powerful synth basses to cut through the mix and rattle your subwoofers. By using specific techniques with EQ, sidechain compression and selective blending, you can craft an earth-shaking synth bass for any application. When trying to create big, bold bass sounds it can be tempting to start stacking synths to the sky, but that can quickly clutter your mix and actually cause the bass to sound less powerful. Start with a single mono sound and only add additional layers if you’re unable to achieve the desired result with the first sound. For adding a powerful, sustained low-end that gives the subwoofers a workout, add something simple like a sine wave in the low register. For adding rich upper harmonics, try a sawtooth-based synth, which will help fill the frequency spectrum into the higher range and have the bass part cut through small speakers. To accentuate each note's attack, it's common to use a a tight envelope to create a ‘pluck’ sound. The quick-attack envelope can be applied to existing parts or added on an additional layer with the sole purpose of adding transient information to the bass that you’re building. How intricate you decide to go depends on the track and how much sonic real estate you have before things get cluttered. Most synthesizers feature tons of tools for shaping your sound, so if you're building an arrangement or have access to the MIDI data at the mixing stage, start by tweaking the synth to get it as close as possible to your desired sound before adding any plugins for additional processing. Remember that when layering synths the goal is to introduce new textures that complement the other layers. If layering, route all bass sounds to a dedicated buss; you'll later want to process the bass tracks together to ‘glue’ them into one sound. EQ is perhaps the most subjective part of mixing synth basses; some are deep and dark while others are bright and buzzy. The specific EQ adjustments you make will vary from song to song, but the basic principles will remain the same. After dialing in the perfect synth patch, it’s time to start cleaning up any problem frequencies in the individual channels. Since each synth layer adds a unique texture to the overall tone, it’s best to first treat each channel individually. Start by applying a high pass or low pass filter to each of the channels to define the range for the bass part (or for each layer individually), paying special attention to what each layer is contributing to the overall tone. For instance, the subby sine wave is sustaining the low end, so you probably want to preserve its low end, rolling off the low frequencies to about 60 - 80 Hz on the other layers. If you have a ‘pluck’ synth layer, it's probably being used as ear candy to grab your attention at the beginning of each note before quickly disappearing, so it doesn't need much low-end information; add a high pass filter and roll it off until you start to miss the character of the pluck, then bring it back a touch so you have only as much as you need. Make sure you’re listening in context with the other tracks and making the bass collage work together, rather than cluttering and creating mud. Listen for resonant frequencies to ring, when you find them—stop! When using subtractive EQ it’s recommended to use narrow bands with moderate-to-high Q values. Wide bands with low Q values usually work best for tone-shaping additive EQ. When using subtractive EQ, tools like the H-EQ Hybrid Equalizer, Q10 Equalizer and Renaissance Equalizer offer precision equalization that’s perfect for surgical repair. After removing any problematic frequencies, it’s time to add some color, character and tone-shaping to your bass tracks using additive EQ. Plugins like the PuigTec EQs, Scheps 73 and V-EQ4 offer analog flavors for spicing up your synth basses—perfect for adding warmth, gentle coloring and loads of character. If you need a more pronounced low end, try using a dedicated harmonic frequency generator to infuse your basses with a clean, consistent low frequency signal that really beefs things up and extends the perceived bass response. Sub-harmonic frequency generators are similar to EQs in that they change the frequency response of a signal, but uniquely different in that they add harmonics that aren’t present in the original sound. Bass-specific plugins like MaxxBass and Renaissance Bass generate upper harmonics that add a hefty helping to a track’s bass response and helps them be heard through smaller speaker systems. LoAir generates strictly lower harmonics to extend a bass downward into very low frequencies; this is akin to the deep, thunderous bass-rattling effects that you hear (and feel) in the movies. When working with synth basses, EQ before compression often works best to help things cleaned up before compressing the signal. Try multiple routing configurations to see which works best for your particular track. Unlike most acoustic instruments, many synth basses begin with very little dynamic range, so be sure that you listen and only apply compression if you need the compression. Do experiment though, as adding compression—light or heavy-handed—can affect the transient response and harmonic texture of any sound. If layering multiple sounds into one synth bass, the bass buss can often benefit from a light amount of compression (i.e. -2 to -4 dB of gain reduction) to process and ‘glue’ the sounds together into one. If a heavier amount of compression sounds best in your track, go for it. Individually per layer, you can try compressing synth basses aggressively. Medium to moderate ratios such as 4:1, 8:1, 12:1 or 20:1 can be used to apply anywhere from 1-12 dB of gain reduction. In the heavier cases, compression will greatly affect the attack and the overall texture of the sounds. Depending on the synth layers you’re working with, it may make sense to use different compression settings for each channel. Low, bass-heavy synths will benefit from slower attack and release times to help smooth out the dynamics without creating an unwanted pumping effect. Shorter, pluckier synth sounds will benefit from faster attack and release times to help accentuate the punch of the transients. When compressing particularly bass-heavy synths, try using a compressor with a high-pass filter like the API 2500's "Thrust" detector, or as found in the CLA-2A. Don’t confuse this feature with the filter on your EQ—it doesn’t remove low-end from the signal, it just lets frequencies below the cutoff point pass through the compressor unaffected. By ignoring the bass frequencies, the compressor is able to apply more consistent compression to the full-range signal without creating erroneous pumping effects caused by big, boomy low frequencies. If you're listening, experimenting with compression and feel like a part really needs to cut through more (or less) in terms of punch, rhythmic feel, attack or sustain, try a dedicated transient shaping plugin; it can really get things dialed in in a subtle way, or totally transform a sound. The Smack Attack Transient Shaper quickly and easily helps to shape or transform rhythmic bass lines or individual layers. The Renaissance Compressor is perfect for applying sidechain compression, as it features a "key input," or sidechain input and allows you to dial the effect in a detailed, refined way. Set the sidechain input to be triggered by the kick drum, and adjust your attack and release times based on the tempo of the song. If the attack and release times are too fast it can create an unnatural pump—too slow and the bass won’t compress in time, leaving your mix sounding open and muddy. A simple alternative to achieve the pumping effect is the OneKnob Pumper. This will pump your bass to the tempo of your track, with a few simple controls to get the effect how you want it. If a pumping sound is not what you're after, and you simply need to clean up the kick and bass in the low end, dynamic EQs like F6 are great for controlling unruly frequencies in a transparent way. By using level-dependent bands that engage only when a set threshold is crossed, dynamic EQs only affect frequencies when you want them to, and without a heavy compression feeling. Parallel compression is great for making synth basses sound thicker and beefier with subtle color and texture. Send each of your synth bass channels to an aux input and insert a colorful compressor with fast attack and release times like the CLA-76 or dbx 160. Use a high ratio to apply plenty of compression; don’t be afraid to peg the needle if it sounds good! Blend the hyper-compressed signal back in with the original signals to taste. Multiband compression is a great option for controlling dynamic synth bass lines, especially on the bass buss if layering several sounds. A multiband compressor like the C6 is used to compress different frequency ranges of a signal with independent settings, meaning you can apply generous amounts of gain reduction to the low-end using slow attack and release times, while applying moderate compression to the midrange using faster attack and release times to accentuate the transient response. If the wideband compression you're applying is not affecting the sound how you want it to, and more detailed control is what you desire, reach for a multiband compressor. Now that you’ve got the basics under control, it’s time to add some effects. Saturation and distortion can be a great way to add subtle color and definition, as well as help synth basses cut through a busy mix. There are several different types of saturation, each a different sonic character. One is that of driving analog preamps or console channels a bit into the red. This form of saturation can be applied with hardware emulation plugins like NLS Non-Linear Summer, which emulates 3 different analog consoles, or using Scheps 73, a model of a Neve 1073. In both cases, a small bit of saturation will provide some warmth, whereas engaging the mic pre circuit will introduce a heavier amount of distortion. Another form of harmonic color can be added with tape saturation; this offers a warm, rich tone. The J37 Tape plugin can add a very subtle bit of definition and 'vibe,' or driven harder to create some distortion, whether on individual channels or across the buss. For extreme detailed control in the distortion domain, the Manny Marroquin Distortion plugin comes in very handy. It has easy parallel distortion, as well as simple EQ, filtering and attack/release settings for the distortion channel. Tread with caution here! One of the quickest ways to muddy up a mix is to add reverb to bass frequencies. However, completely dry synth basses can sometimes feel out of place in spacious mixes. To avoid these problems, only apply reverb to the plucky midrange synth bass tracks to add depth to the percussive element of the sound, without smearing the sub frequencies. If you don’t have separate synth bass channels for each layer, send the whole track to an aux reverb channel and use an EQ to filter out the low end before hitting the reverb. This will allow the midrange frequencies to feel spacious without making a mess. For simple, rhythmic bass parts, applying delay can totally transform the feel of a track and add much rhythmic excitement. The H-Delay plugin is a powerhouse for this kind of task as it's quick and easy to dial, for example, a warm sounding ping-pong delay with high pass and low pass filters to create a stereo 1/4-note repeat of the bass hits, again without smearing the low frequencies, and while getting the delays to sit back nicely in the mix. Try it out! Whether working with mono or stereo synth sources, adding some spatial imaging to electronic basses can be a fun effect; just avoid doubling the low sub frequencies below about 125 Hz, as it's a near-surefire way to introduce the possibility for phase cancellation and reduce the bass's impact. The Doubler plugin is an excellent, easy way to add doubling or chorus effects to the whole bass sound or to individual bass layers. If affecting the whole bass, it's a good idea to use the plugin's frequency control to apply doubling only above the low end. Applying EQ, compression, dynamics processing and effects to bass guitars is a delicate process. One wrong move and the whole signal chain can fall apart. Thankfully, seasoned mixers Chris Lord-Alge (Green Day, Muse), Jack Joseph Puig (U2, Lady Gaga) and Eddie Kramer (Jimi Hendrix, Led Zeppelin) have helped develop plugins based on their award-winning signal chains. The Signature Series plugins offer unique combinations of EQ, compression, distortion and reverb, specifically designed for a variety of bass applications. Signature series bass plugins include: CLA Bass, JJP Bass, and Eddie Kramer Bass Channel, each with their own style, feel and set of presets to help you achieve desired sounds quickly. Now that your synth basses sound amazing, it’s time to bring them to life with a little automation. Try to make the synth bass react to the track with tricks like bringing in more low-end during the chorus, adding distortion in the bridge or kicking on the spatial imager during for the drop. Do what you need to get the fine details of the bass holding the track’s foundation together and keeping things interesting! 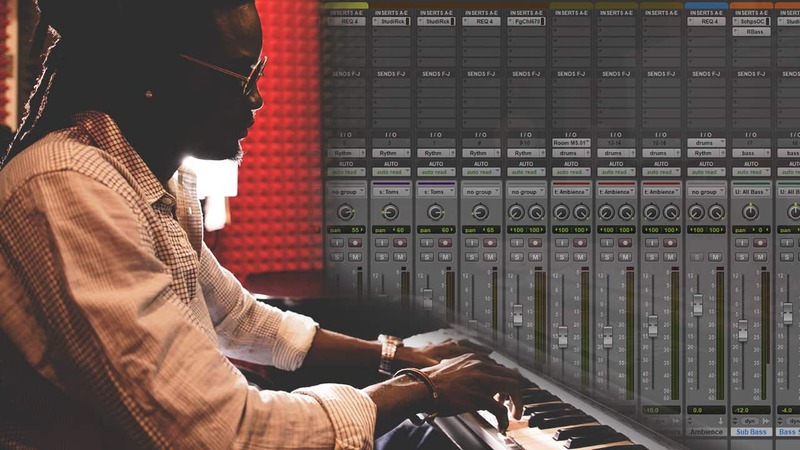 Ready to dive deeper into your electronic music production? 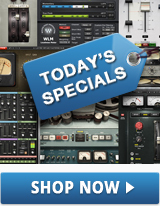 Get more tips, tricks and presets with these production & mixing tutorials. Want to get more tips straight to your inbox? Subscribe to our newsletter here.